If you liked that song you can now buy it on iTunes and all the proceeds from the sale of the song are going to charity. The specific charity is Habitat for Humanity and the tune is available for only $1. Bethesda has committed to raising at least $100,000 for the charity. If you are wondering, the song is credited to Copilot Music and Sound. That company was founded in 2008 and is specifically meant to create music for games, advertising, and other forms of media reports PC Gamer. Past work from the company includes the Blitzmensch from Wolfenstein II, the Fallout 4: Nuka-World theme, and the Drunken Whaler song from Dishonored. The firm also worked on lots of other in-game tunes. 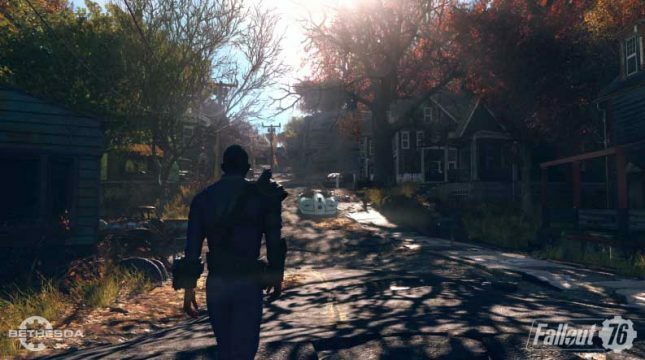 As for Fallout 76, it is set to launch in November and will have all sorts of cool features including nuclear weapons.